Vauxhalls Design Department started urgently working on new models almost as soon as the war was over with planned launch dates in autumn 1948 when the first post war motor shows were scheduled to take place in London and Paris. The car could have been launched earlier as most of the design work was done within 6 months, wartime urgency still prevailed at Luton! The result of this was during the early part of 1948 the Design Department didn’t really have a great deal to do. The car uses a J-14 Chassis number and a very low engine number that is identifies it as an early L Type experimental unit. A one of a Kind ” One off” car, Vauxhall Concept car of 1948. 12 Months MOT, potentially a Restoration project but the originally of the car is fantastic, untouched for 60 years. 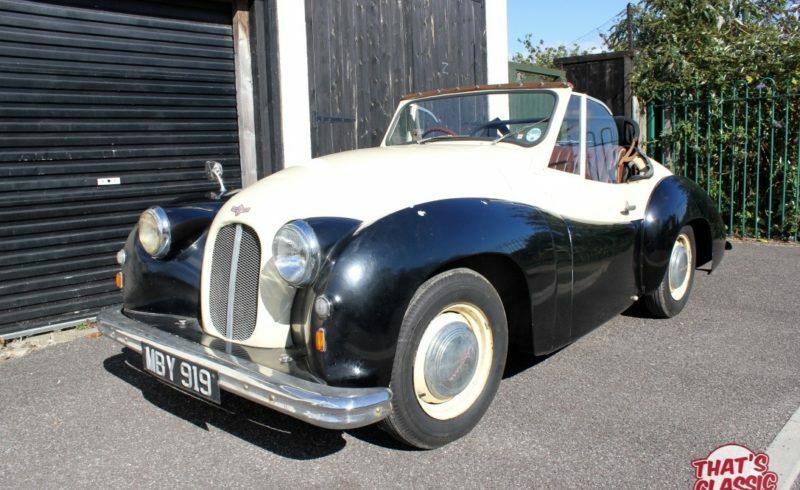 It has been kept in road worthy condition and the brakes have had a recent over haul. Attracted a Huge amount of attention at Beaulieu Auto jumble, Literally crowds of people in aww.